Microsoft and Samsung partnership gets even better during the recent January 6-9, 2016 Consumer Electronics Show in Las Vegas, the largest tech gathering every year. Both parties will benefit from new developments in terms of service and products. Samsung aims to partner with Microsoft for IoT (Internet of Things) related projects while Microsoft will certainly take advantage from Windows powered Samsung devices. The first of which is a Surface Pro-like tablet called the Galaxy Tab Pro S.
Terry Myerson, the Executive Vice President for the Windows and Devices Group mentions that Samsung and Microsoft had actually been working closely for the past 30 years, designing several Windows devices together. But we’ve seen the news saying otherwise due to patent and license issues between the two companies. The riff had just been settled last year and it looks like they are off to a stronger partnership this year. The Windows Internet of Things project ultimately aims to make it possible for all devices with access to the Internet to be interconnected. The Windows Continuum apps is already a glimpse of what the future can bring. Using Continuum, you can continue (sounds like a pun on the name) where you left off while using a Microsoft program (i.e. Word) from a computer to a tablet to a mobile phone and so on. Samsung wants IoT to be made available not only for gadgets like phones and tablets but for all other electronic devices too such as TV etc. for personal entertainment and work productivity. During the recent Consumer Electronics Show 2016 event (held January 6-9, 2016 at Las Vegas, NV, USA), Microsoft and Samsung actually co-presented a new line of gadgets powered by Windows 10. 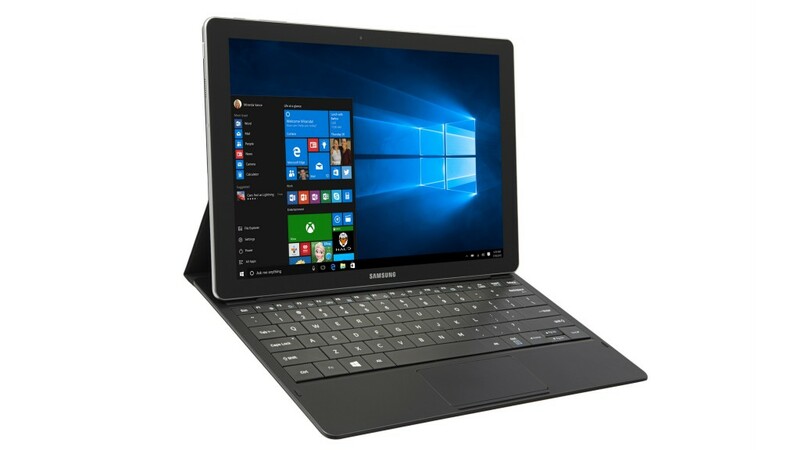 The first of which is Samsung’s answer to the Surface Pro tablet/laptop genre – the Galaxy TabPro S. This Intel Core i7 powered device promises a battery life which lasts up to 10 hours, even on a full screen video streaming site.